The Master of Accountancy is a 30- 37.5 credit program designed to prepare students for high-level professional careers in the public and private sectors. It is a flexible program tailored to individual interests and career objectives in accounting, financial management and tax practice. Students with a Bachelor of Science degree in Accounting from a US accredited university can complete the requirements in one year. No business background is necessary prior to joining the program. In addition to required courses in introductory accounting, finance, economics and statistics, students can choose from a wide range of specialized accounting subjects as well as other business topics which help them prepare for their professional certification. The program may be pursued on a full-time or part-time basis. Day and evening classes are available and prior work experience is not required. 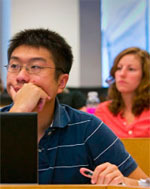 The Master of Accountancy program consists of two programs. Program A can be completed in 34.5-37.5 credit hours. Program B can be completed in 30 hours and is designed for students who hold a Bachelor of Science in Accounting* degree from a US university or have passed the CPA tests (a Bachelor of Business Administration with a concentration in accounting does not apply). 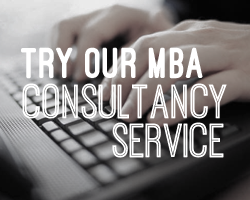 Both programs are flexible and allow students to choose from a wide range of accounting courses as well as a range of electives from the School of Business graduate course listings. TOEFL score for students whose native language is not English (Institution Code: 5246). Minimum score of 600 (written test) 250 (computer based) 100 (Internet based) and IELTS minimum score of 7. Two letters of recommendation and current resume. Master of Accountancy students are charged $1,065 per credit hour for tuition for the 2008-2009 academic year. The Student Association fee is $1 per credit hour, to a maximum of $15 per semester. The program is comprised of 36-37 credit hours.